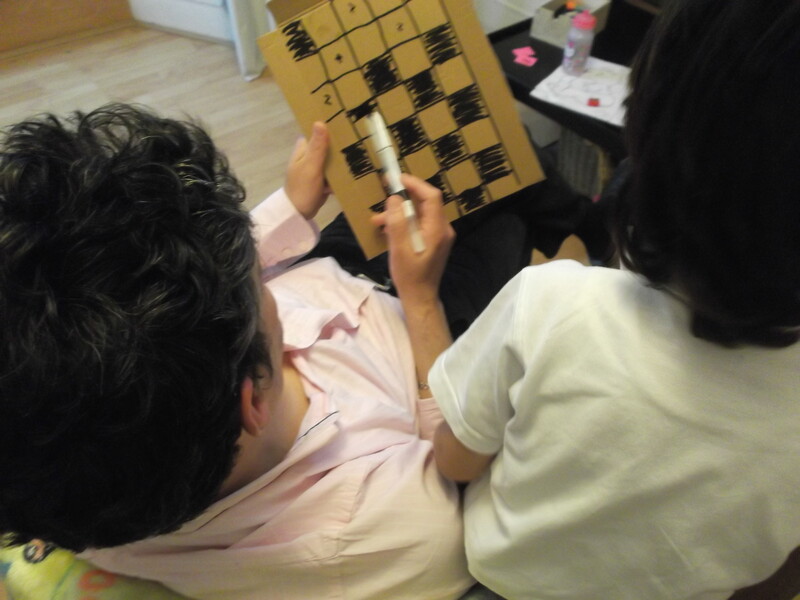 Yes, I know, my 2 year-old is way too young for the real thing but she definitely enjoys playing with the tiny pieces of Papa’s travel-chess, and being magnetic adds so much to the fun. 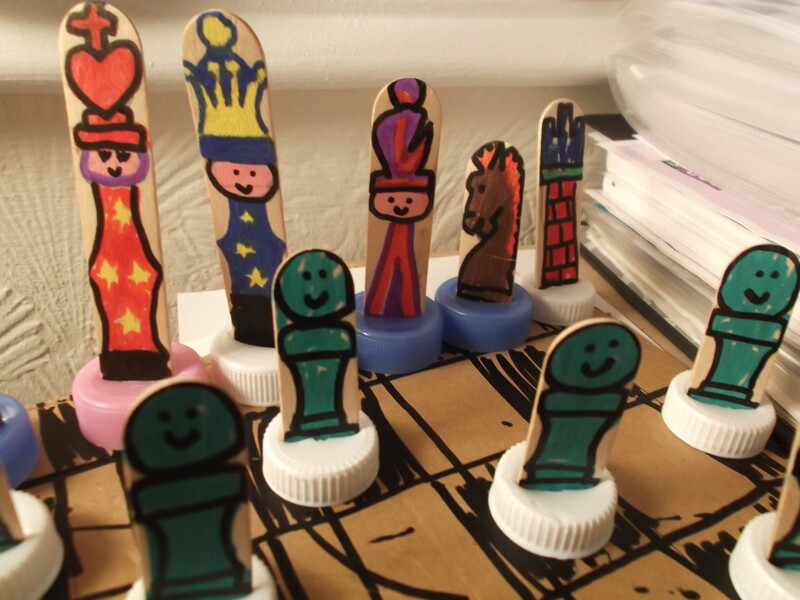 Anyhow, I was looking at her losing the pieces again playing with the pawns and the “horses” and I thought to myself, “Papa would do with a new set. 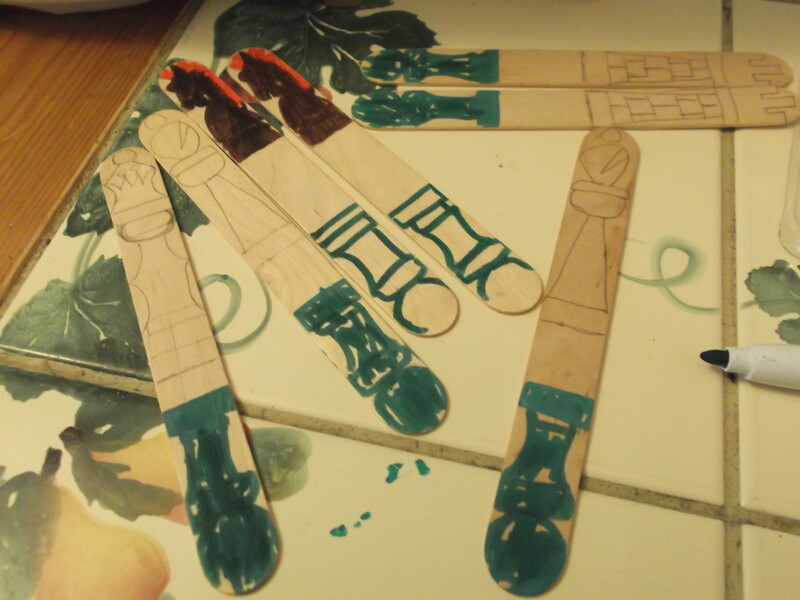 So here we are, with a lovely idea for the toddler to use the pieces as “mini puppets” and for the big boys to enjoy a complete game once again. but it turned cute at the end don’t you think so? I think this would be a fantastic children-made gift for Father’s day. 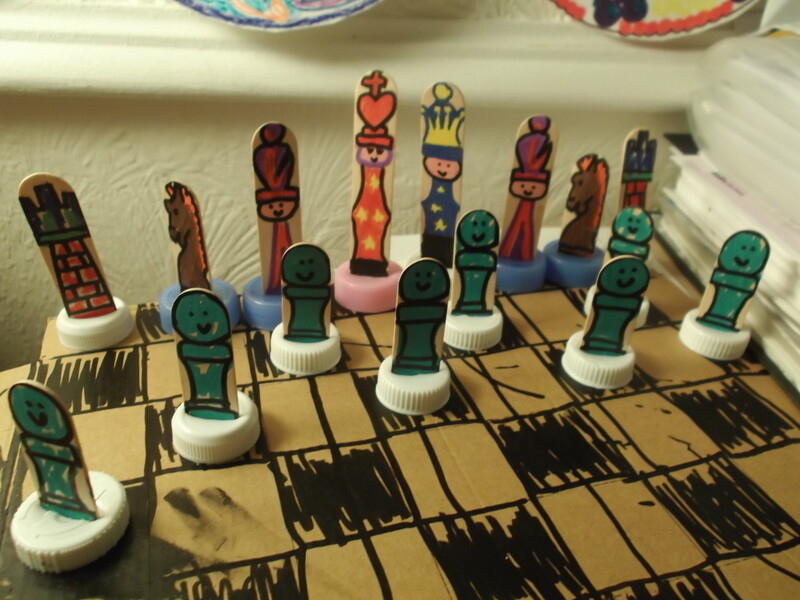 This entry was posted in Crafty Projects for Children, Homemade Toys and Games Ideas and tagged ajedrez hecho a mano, cardboard chess board, chess pieces, child-made, dia del padre, diy chess set, father's day, gift, hand made chess, hecho por ninos, regalo papa by Bodymindsoulparenting. Bookmark the permalink.